Sure, you've heard of Moraine Lake; have you heard of Consolation Lakes which is just 3km away? 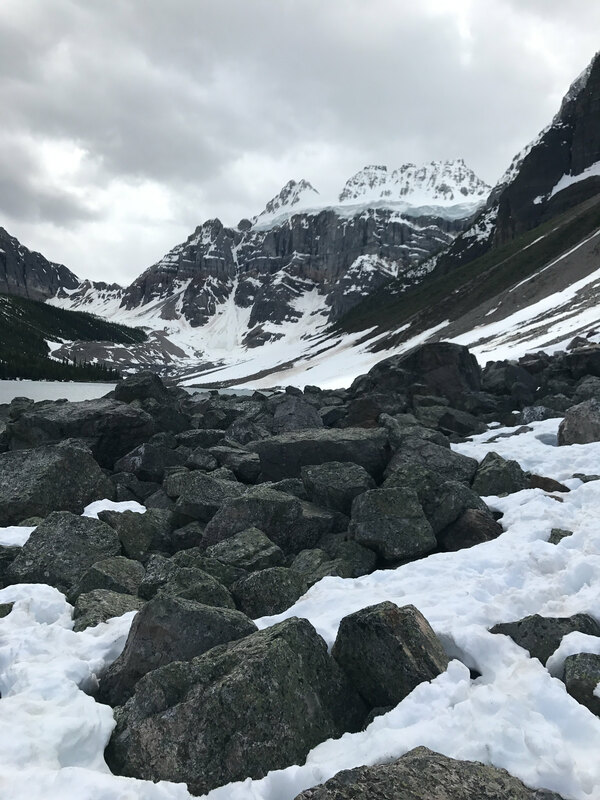 Ok, Moraine Lake is pretty damn hard to beat but the 6km return hike to and from Consolation Lakes is beautiful, pretty easy (we saw little kiddies doing it) and is well worth your time. 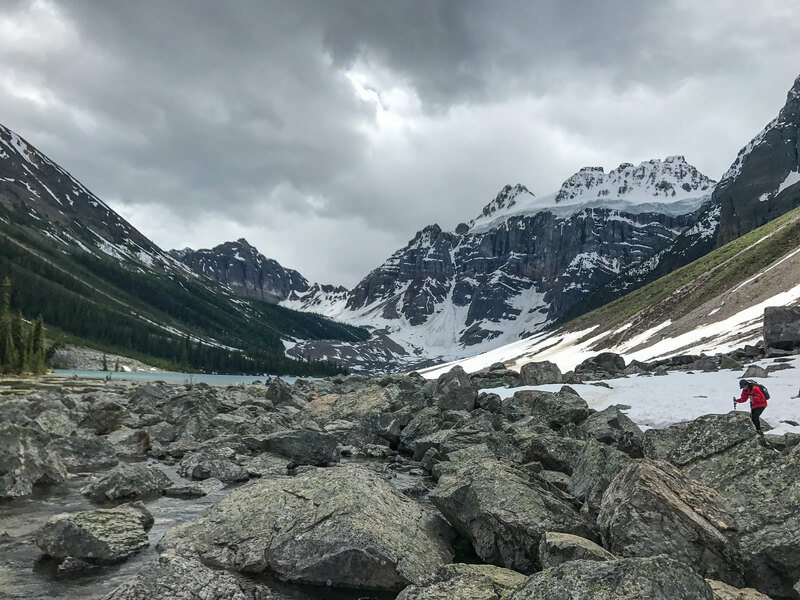 You can go from the hustle and bustle of Moraine Lake, to a peaceful valley after walking through immaculate forest in an hour. Why would you want to skip out on that? 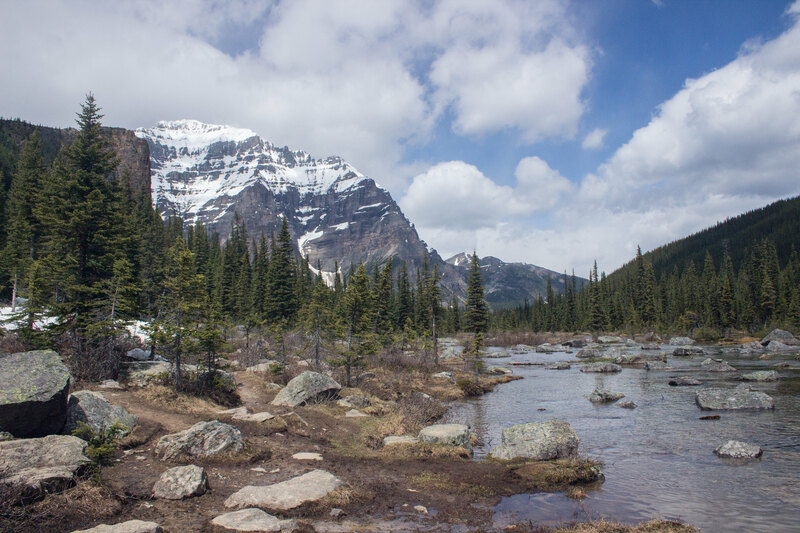 The trail starts near the rock pile at Moraine Lake and leads you through stunning forest to lakes surrounded by mountains and glaciers. 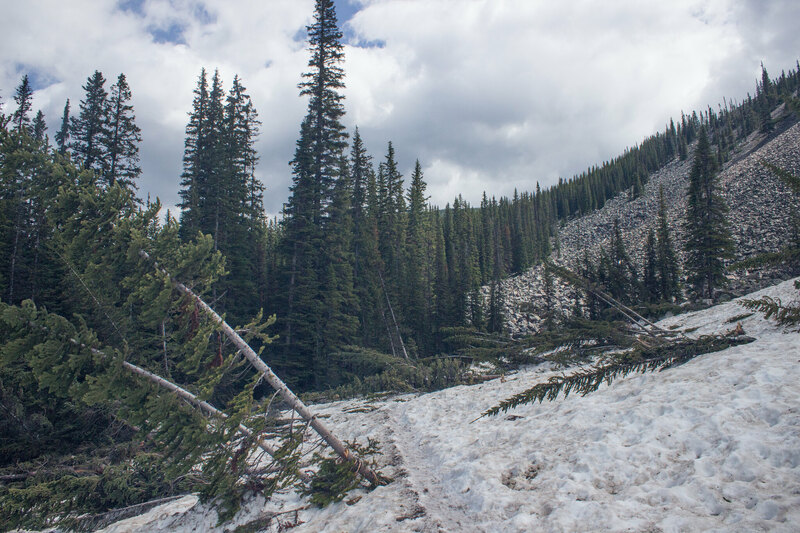 We hiked to Consolation Lakes on June 21st and to our surprise, there was still a lot of snow and avalanche build up in places, especially near the lakes which make things pretty treacherous. 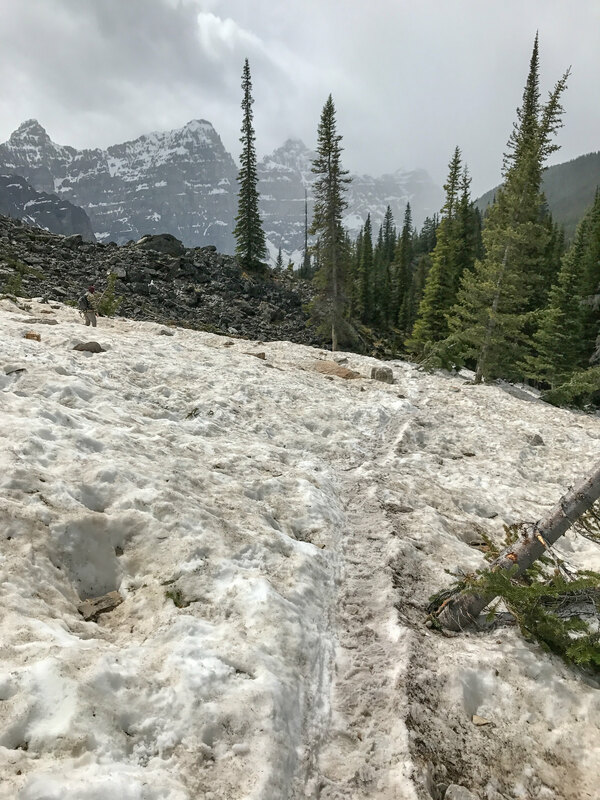 As you can see in the photos above, the trail near Moraine Lake to the forest area was covered in snow and had there not been a worn path we would have had no idea where the trail went. Especially where it heads into the forest. Luckily we saw someone come out up the slippy slope from the forest. Otherwise I think we would have given up and thought it was impassable. I've seen photos from August time where it seems to have all thawed out; if you're going in June, and maybe even July, take waterproof boots with good grip and ankle support. You definitely need to exercise caution when trying to navigate the snow on the rocks because it's so easy to slip and drop your foot into a crevice; both Daz and I did this. It took us just over an hour to reach Consolation Lakes, and the trail was fairly quiet. If that's the case, remember to make noise on the trail so you don't scare any bears that may be nearby. When we arrived, we could barely believe what we were seeing; a stunning meadow, steep slopes, the Quadra glacier, and crystal clear lakes. We probably spent about half an hour at Consolation Lakes. I imagine you could spent a lot longer there when the snow has all melted, but we dared venture too far over the snow covered rocks for fear of busting an ankle. 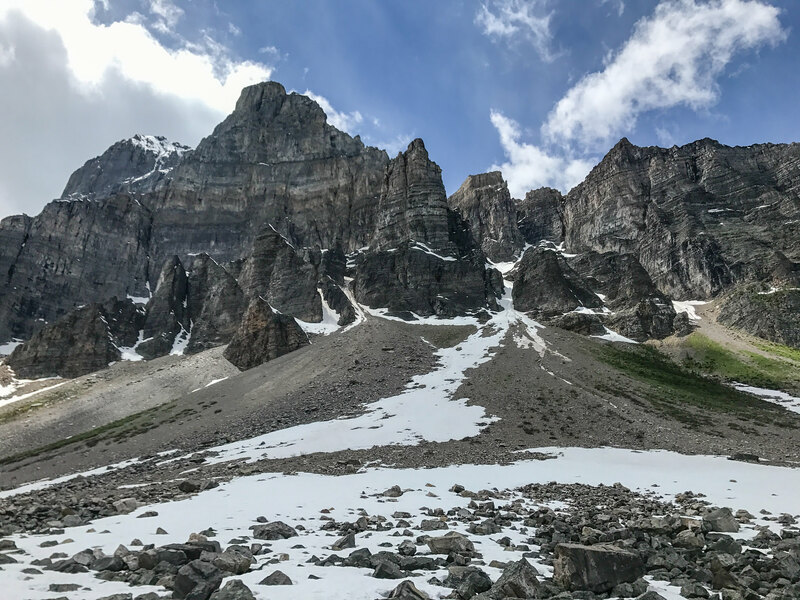 The 6km return hike is easily doable in a couple of hours, so you could easily spent half a day in the Moraine Lake area. As I mentioned earlier, we visited in June (which isn't quite peak season) and it was quite busy. 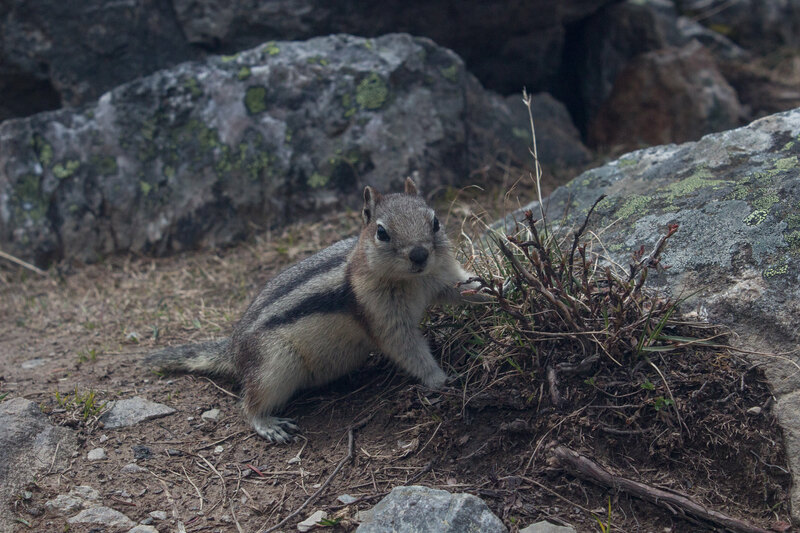 While most visitors don't head to Consolation Lakes, if you want to explore the area when it's quieter get there as early as you can. Please remember to pay attention to any trail restrictions. When we first visited last September, we couldn't do this hike because it was closed to groups smaller than four people because it's prime bear habitat. When you're on the trail, make noise to avoid surprising a furry beast, carry bear spray, and know what to do in the event you see a bear. 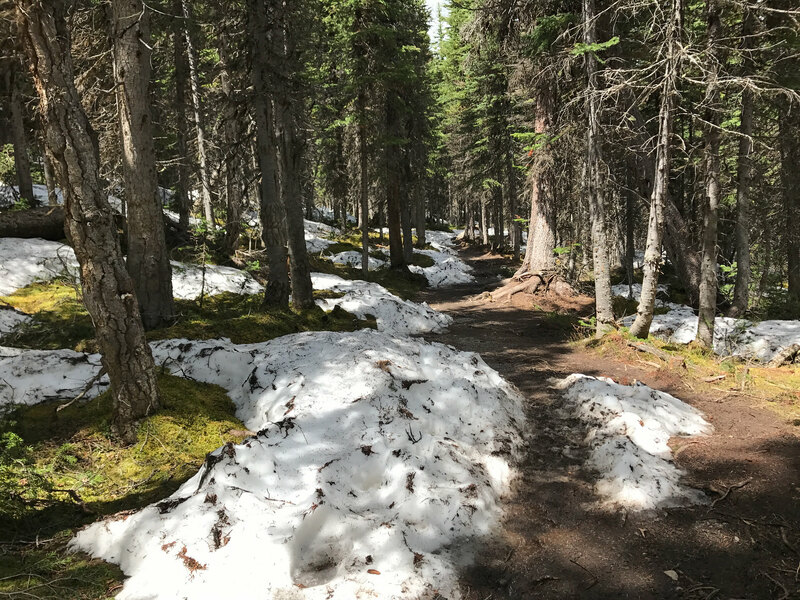 If you're visiting Consolation Lakes early in the season, or even in June, Parks Canada keep their trail report page updated. 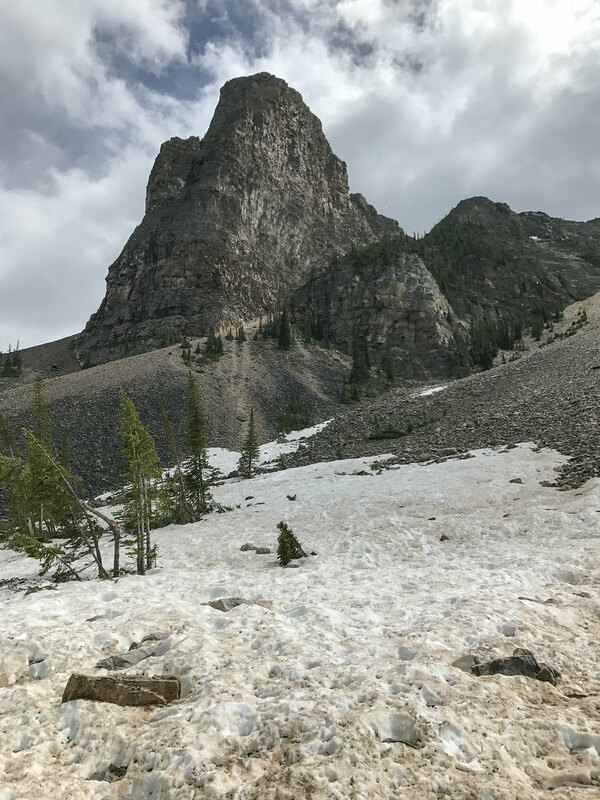 Ironically, Moraine Lake Road is fully snow covered, closed, and won't be open until June 2018 now - but I really wanted to share these photos with you because I keep forgetting about how beautiful Consolation Lakes were. 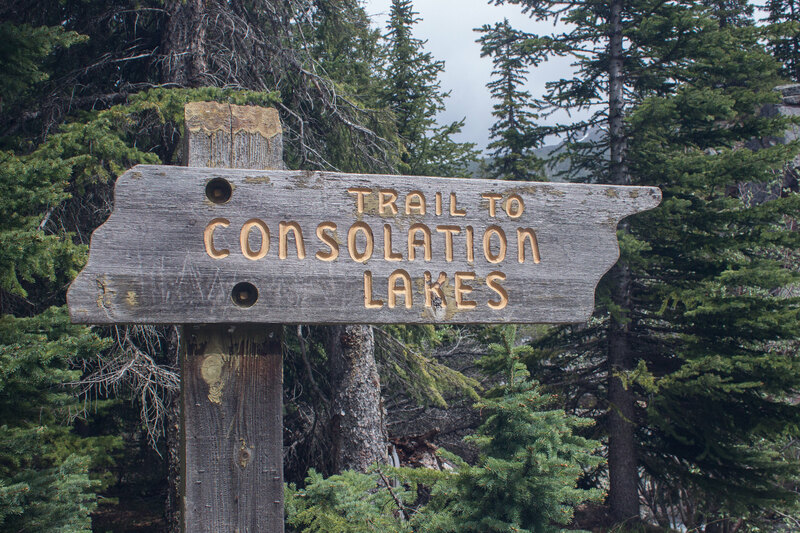 Have you ever hiked to Consolation Lakes?